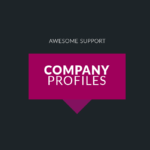 Company profiles allow MULTIPLE users from within the same company to open, view and manage tickets related to a company or organization. If you provide sales, support or service to entities where multiple users might be opening tickets then you need this add-on. With this extension you can create a Company Profile and add multiple users to it, each of whom can have their own independent login to your ticket system. All users associated with the company profile will be able to view tickets and certain users will be able to open, reply-to and close tickets. A user can be associated with MULTIPLE companies. So, if you have a consultant that might be providing services to many of your clients/customers, they can be added to all of their associated companies. When they log in they will see all tickets across all companies. If you have a lot of companies with multiple users, you can enable your end users to set up their own company profile. End users will only be able to set up one company profile. They can choose to make themselves a manager of that profile in which case they will be able to add, remove or edit additional users. Changes to key values in the company are logged and shown on the screen to admins and managers. In particular, when users are added or removed and when permissions are updated. 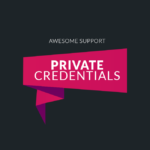 Important Limitation: This add-on is not compatible with our e-Commerce extensions that do license checks – such as our WooCommerce, Easy Digital Downloads (EDD) and Paid Support extensions. While you can use these add-ons with Company Profiles, only the user to whom the license keys were initially issued will be able to open tickets. 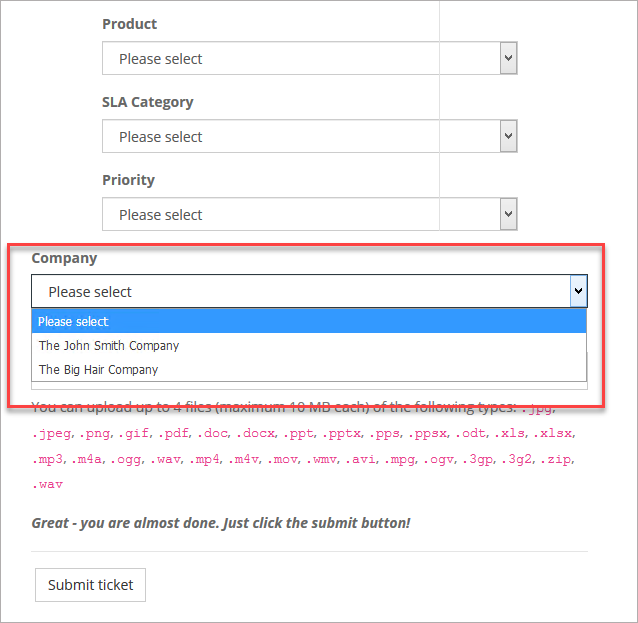 Though, any authorized user on the company can view, reply and close tickets once a ticket has been opened. 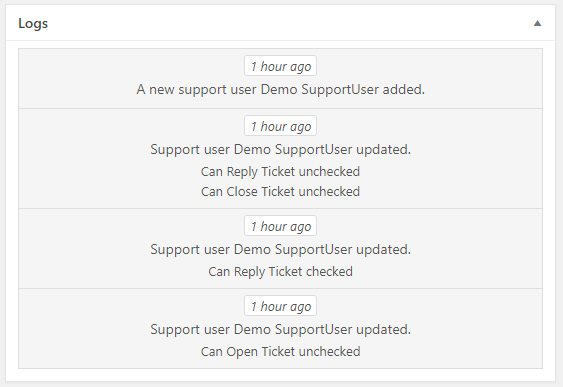 Additionally, ticket quotas cannot be shared among users when using the PAID SUPPORT add-on. Fix: Security issue on front-end that allowed users to view the company profile definition screen. Fix: Front-end users could not view the manage company profiles screen. New: Added option to set front-end pages. For this new version admins must set those pages otherwise the front-end pages will no longer work. Tweak: Change name of function that had an incorrect prefix. Tweak: Fill in the company profile if blank when a new ticket is submitted. 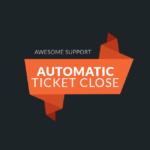 This helps when tickets are submitted via email or gravity forms for example. Does NOT (and should not) work if submitted from wp-admin. Tweak: Sort the filter drop-down in the ticket list in asc order on title. Fix: PHP notice about invalid "post_type" property when user is on the MY TICKETS page on the front-end. Fix: Company profiles list on the front-end when opening a ticket included other non-related posts. Fix: Make minimum version of Awesome Support be 5.1.